The number of law enforcement officers killed in the line of duty went up 31% during the first half of 2014, compared to the same time period last year. Of the 67 officers killed, 26 were in traffic-related incidents, 25 were killed by gunfire, and 16 due to job-related illnesses and other causes. Despite the increase, the overall trend of officer fatalities continued to trend downward from the the 1970 when 140 officers were killed during the same period. The number of annual firearm-related deaths has decreased from 62 in the 1970s to 24 on average during the period since 2000. 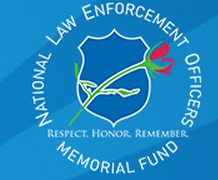 The statistics were compiled by the National Law Enforcement Officers Memorial Fund. (Their full report can be viewed by clicking here. Particularly disturbing were the sharp increases in deaths by gunfire (56%) and in fatal on-duty heart attacks (62%). Gunfire deaths were caused primarily by handguns either while the officer was investigating suspicious persons or circumstances or was the victim of an ambush. Federal officers killed in the line of duty so far this year include three territorial officers and a military officer. In addition, LA County Sheriff Detective/DEA Task Force Officer Al Riveria passed away after surgical complications for an on the job The most dangerous places for law enforcement officers were California, Florida, New York, Texas, and Virginia. Michigan and nineteen other states have had no fatalities so far this year. The deadliest day of the week was Monday (15) and Tuesday (5) the least deadly. The deadliest month overall was May and April had the fewest fatalities. The average age of the officer killed in the line of duty was 42 with an average of 13 years of service. He (64) or she (3) had an average of two children. The spike in the number of officer fatalities, even with an overall downward trend, is a grim reminder that law enforcement continues to be a dangerous job performed to keep the rest of us safe. Posted: 7/27/14 at 5:06 PM under Uncategorized.